Way back in 2008 or so I got a couple of serial adapters for my laptop so I could set up various network devices. Most business class devices, even in the 21st century still use the serial port approach to first set up. Something about security or making things harder for technicians to do their job. Since laptops don’t often come with serial ports anymore this makes things difficult to set up. Recently I misplaced the best serial adapter I have ever worked with. The IOGEAR USB 2.0 to Serial Adapter I purchased at Best Buy in probably 2008 or sometime around then. I’ve had other adapters, but this one has worked with every operating system from Windows XP to Windows 10. I think I’ve even plugged it into a few Linux boxes and not had to do anything weird to get it to work. Something I can’t say with others. The only real drawback is it has a short cable. I’m always a little jealous of the ones the phone guys carry with the 9 foot cables, but they always break on them. This one went through daily heavy use for several years, and wherever it is I’m sure still works after nearly decade. I replaced it recently with another one exactly like it. Anyway, I highly recommend IOGEAR stuff, I’ve got an old KVM switch and some other stuff they’ve made and it’s all managed to outlast a lot of the more expensive stuff I’ve bought over the years. I’ve founds a few cables need to go with this particular adapter over the years. This is a ‘least number of cables you need kit’. 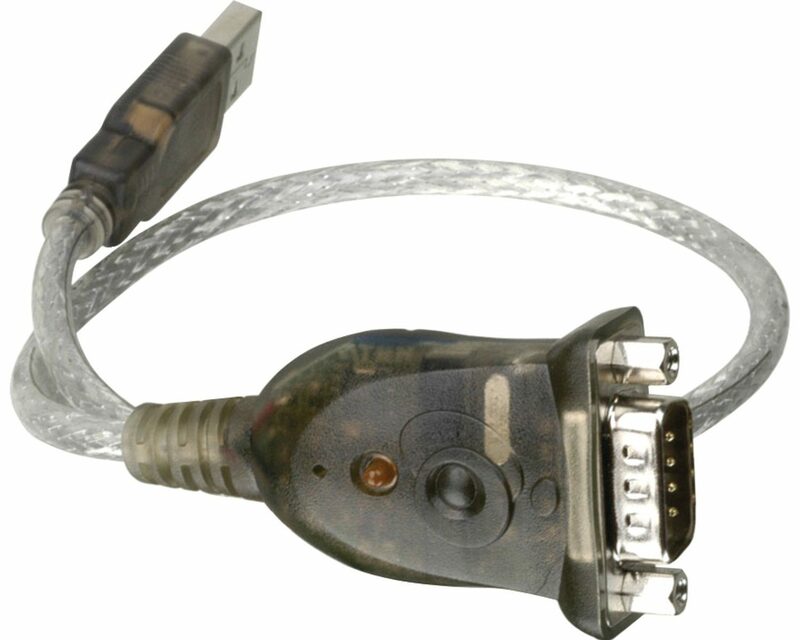 Female to Female Serial Cable – This is what most devices need. Most network appliances are just computers with a regular serial port sticking out of them. Get a really long one of these. The Amazon link is for a ten foot cable. But you can select a three-foot, six-foot, or up to a hundred foot cable. I’ve never needed more than a ten foot cable. Female to Male Serial Cable – Some appliances have a backwards serial connection like this. I think they expect you’ll have a serial adapter with a long cable. Weirdly they’ll usually come with a cable like this. ShoreTel devices are one big example of this kind of device. I’ve never needed a super long one of these, but it also will double as an extension. I always just carried a six-foot one and kept it coiled up. Roll Over Cable With Null Modem – Essentially a “Cisco Cable”. You can get one out of the box a switch came in. The Amazon link there has a generic one for $4 but, honestly if you are buddies with some of your local IT guys you can usually get a hand full of these for free. Every time you buy a Cisco equipment or most other equipment that uses these, it usually comes with one. If you have ninety switches, you inevitably have ninety of these lying around. Regular RJ45 Null Modem – Some devices need weird pin outs and they usually use RJ-45 connections so having a regular old null modem is great and you can just make whatever cable you need. The link comes with two. Some networking equipment will come with these and a rollover cable that detaches so it’s worth watching out for that. If you need a crossover cable, my suggestion would be to get a short male to female crossover cable, not a female to female one. I’ve never actually seen the need for one, but they sell them so I’m assuming there’s equipment out there that uses them.